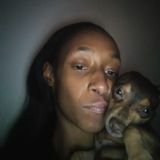 Want to connect with Lashawnda? Nice to meet you! My name is Lashawnda. I am looking for a House Sitting provider employment opportunity in Los Angeles, California. My aim is to contribute my skill as a House Sitting Provider. Available now. I am comfortable doing pool maintenance, pet and animal care, and bird feeding. I also have personal transportation available. I have extensive prior history in the role.